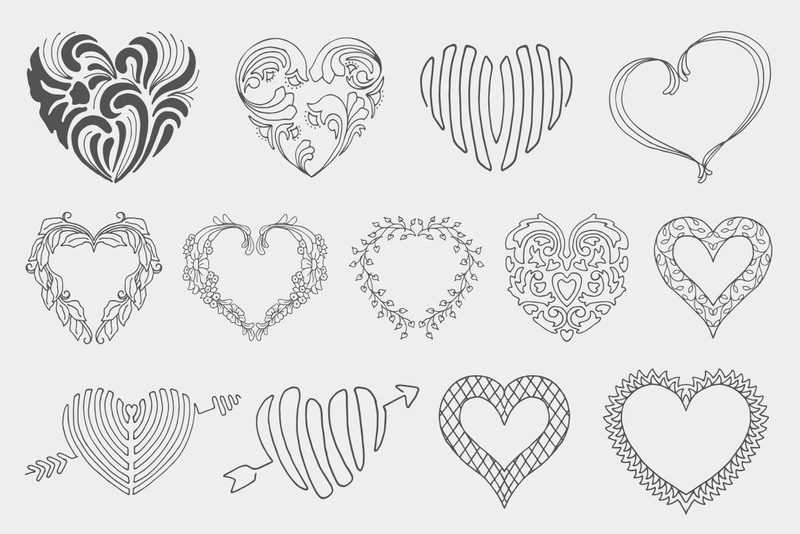 This set of decorative hearts includes 13 vector items in AI and EPS file formats and can easily be customized in any vector editing software. 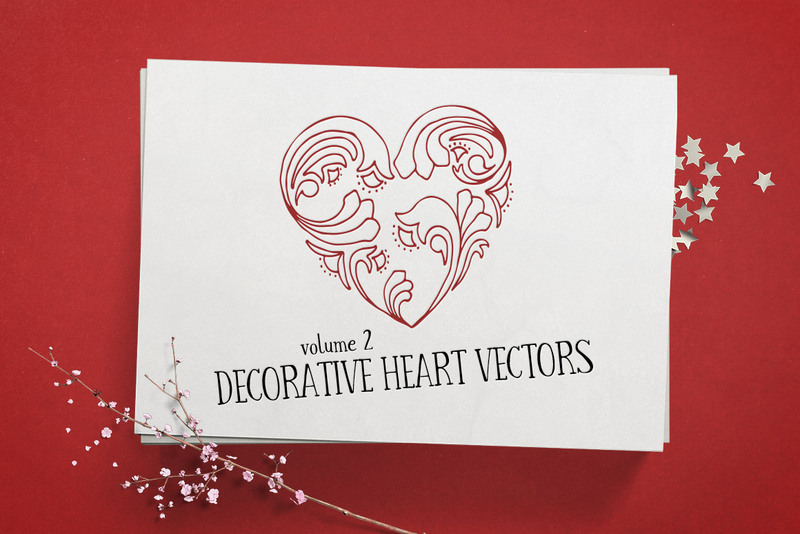 Each design was hand drawn and converted to vector format, so you get the best of both worlds. 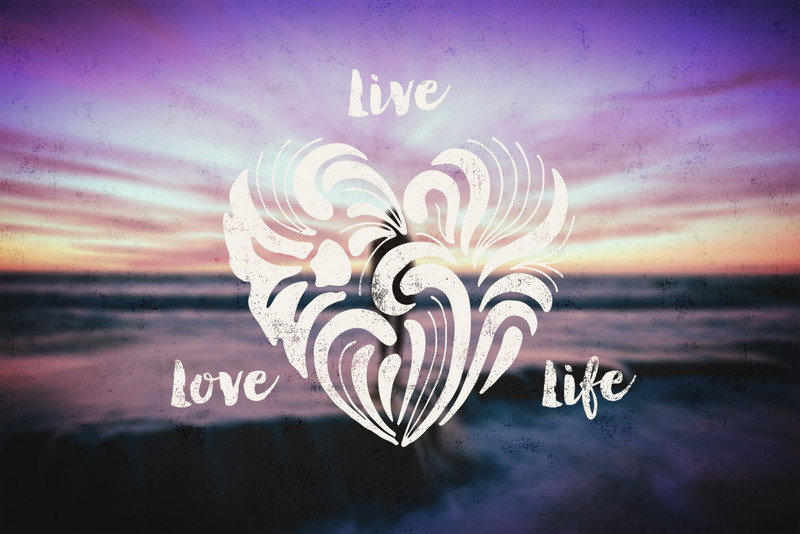 Authentic, hand crafted designs that can be scaled and recolored without any loss in quality. 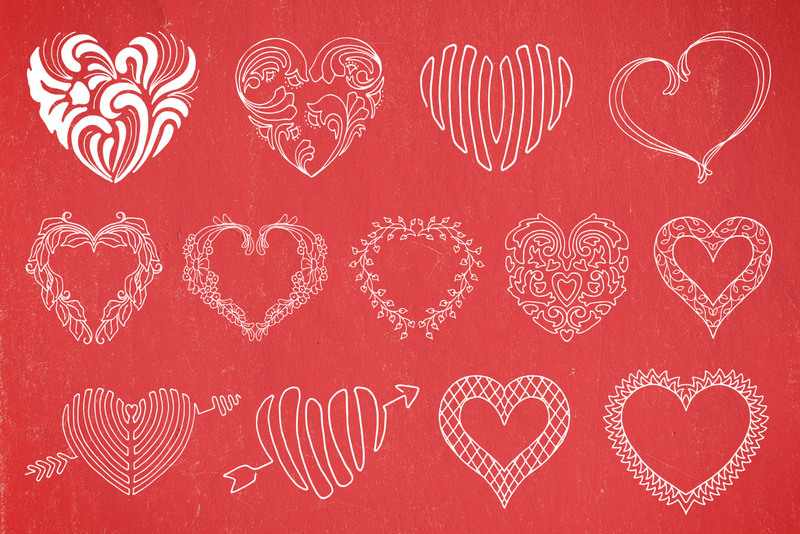 These vector hearts are perfect for Valentine's Day gifts, e-cards, holiday sales, and more.